THE PINELANDS – You know the feeling. 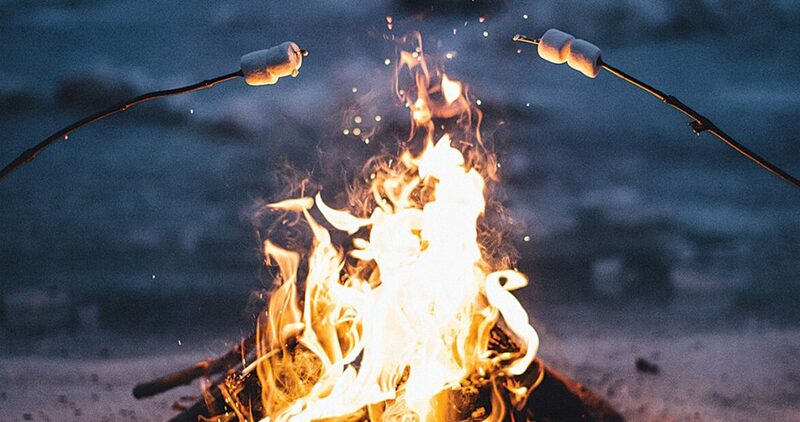 Gathered around a campfire with friends and a steaming cup of hot chocolate or a gooey s’more, the grip of the daily grind loosens. Conversation flow freely among the trees, or if you’re in New Jersey: the pines. Stripped of the pressure of classmates, school assignments and computer screens you find it easier to connect with the person sitting next to you. You can hear and feel the presence of God. Out of the fresh air an idea is born. A perspective is shifted. A heart is changed. Such is the draw of GNJ’s Next Generation Camping initiative; immersive outdoor programs designed for students to learn, develop relationships, and grow deep in their faith while taking a break from their digitally saturated lives to cultivate the kind of experience no amount of clicking and scrolling can produce. Camp staff and counselors at Pinelands Center at Mt. Misery are rallying under the leadership of Next Generation Ministry, GNJ’s nonprofit partner the combines the ministry of youth, camping and campus programs including IGNITE and camping. They have been in prayer, gearing up to forge relationships and build connections at this summer’s upcoming camping programs. “I’m excited for the relationships that will form between campers from different churches across GNJ as well as the counselors,” said Clements. During the summer camping sessions, , campers and counselors will be able to go deeper in their faith and Christian leadership with a full week dedicated to worship, spiritual connection and nature. Just a few months later, they will have a chance to reconnect as a larger body at IGNITE on September 28-30 at the Wildwoods Convention Center in Wildwood. Rev. Steve Bechtold, Skylands District Superintendent and proud advocate for camping ministries, believes the unique approach of the Next Gen initiative taking three distinct and separate entities of GNJ ministries (camping, campus ministries, and youth) and coordinating them so that each feed and support the others provides a more complete pathway for making and growing new disciples. Bechtold is particularly excited about helping local congregations with a smaller number of youth learn new ways for engagement that does not isolate young people but integrates them into the larger ministry both locally and beyond so more youth can find connection within in a congregation’s youth group or just a handful their own age. This summer, Next Gen Ministries will partner with Barefoot Republic Camp in a new and exciting, Christ-centered, multicultural experience focused on building unity within the Body of Christ for rising 6-8th graders. The partnership provides GNJ the opportunity to hold camp at Pinelands Center for the first time in three years. While the staff at Pinelands have hosted a myriad of retreats and school programs, Barefoot’s program provides the center the chance to reinstate weeklong overnight camping in 2018. Additionally, a senior high leadership camp will be held in July to grow leadership skills through active spiritual formation, hands-on mission training and opportunities, and leading for change. “The relationships and ideas formed during this time will leave students equipped to start projects and initiatives at their churches,” said Clements. In August, Ninos Para Cristo & Jovenes Para Cristo camp will be held at Pinelands for all ages in an inclusive program for campers of all backgrounds to come experience God through the celebration of Latino culture and heritage. For the Next Gen team, the ideal backdrop of the wild places where the echoes of our communal past still resonate is a great place to start. To find out more about Next Gen camps, programs, opportunities and contact info, click here.